... back to our old blog site. i am fed up with blogger's malfunctions and their non-responsive team! and i feel like we (mostly ryan) have a better feel for wordpress than we did last time i used it, so that's a major plus! head on over there and make sure to enter your email at the WAY bottom of the page so you can get notifications for new posts! 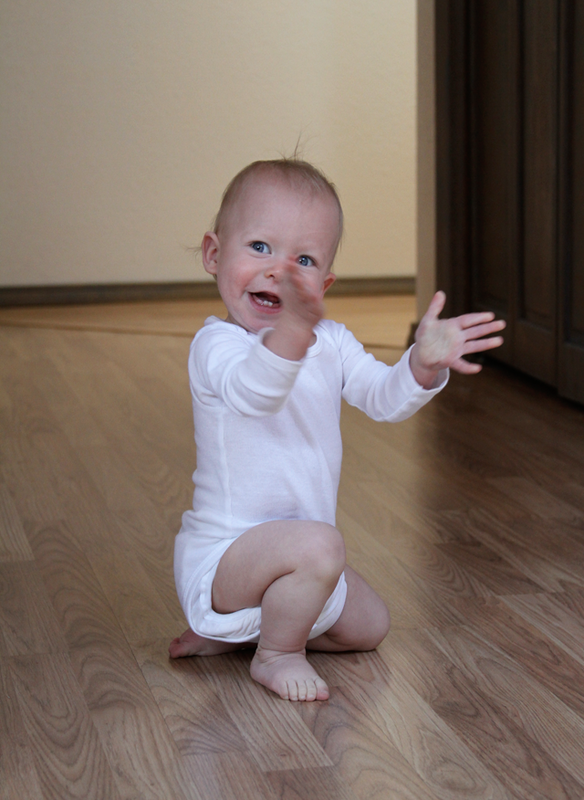 see you over at wordpress, and you better go now so you can see max walking :o). we took a trip to alamo to visit gg & grandad after gg's knee surgery. 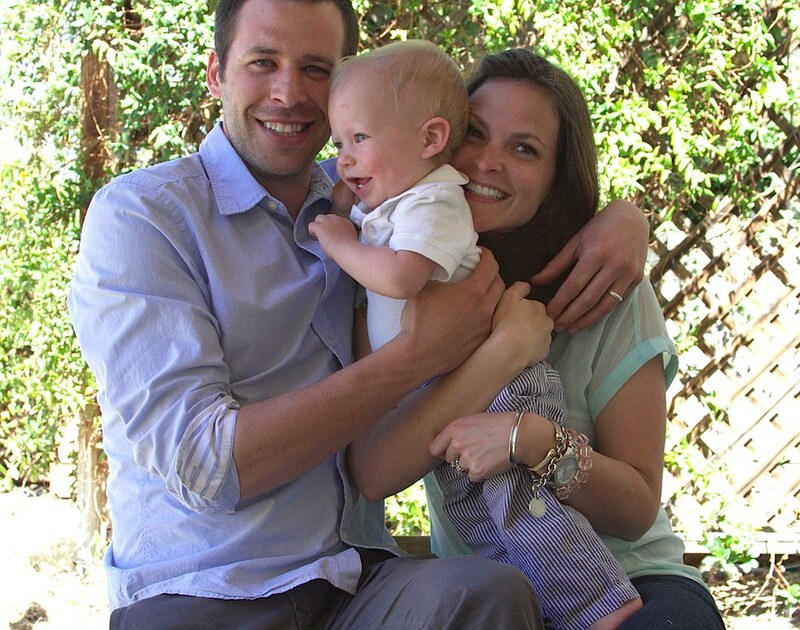 all three of us loved getting the chance to help take care of two of our most favorites. max's favorite thing to do was tear through the beautiful stained glass door (eek), and race up the stairs before we could catch him. 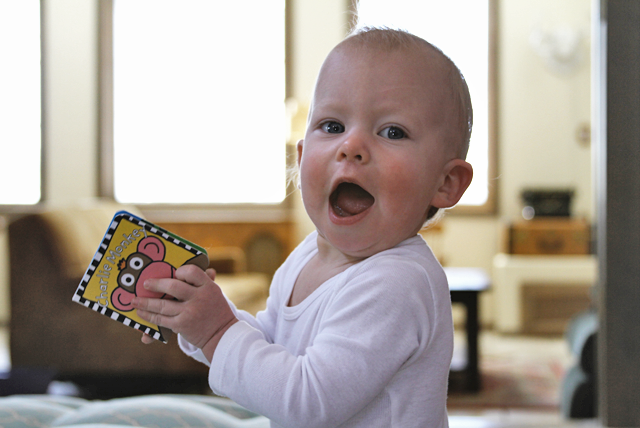 the sweetest laughter kept us from getting frustrated with our little non-listener. 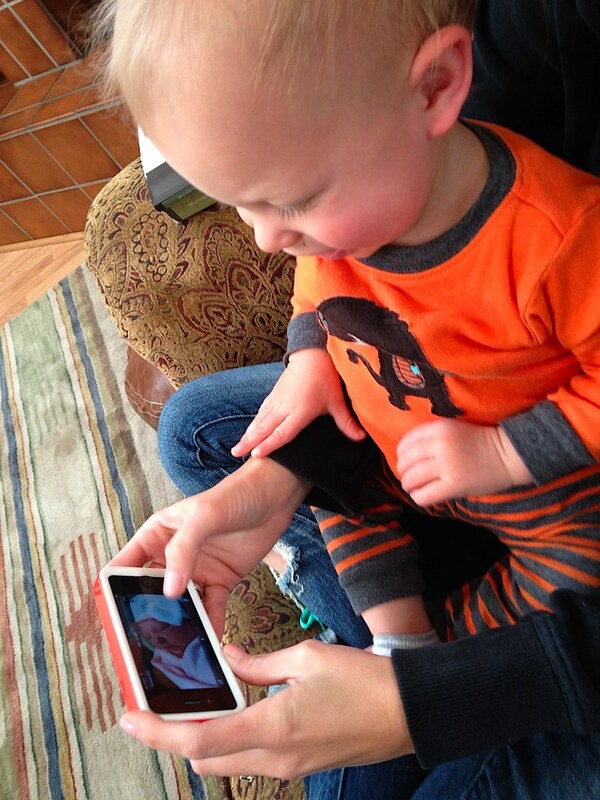 this month we got to meet a new friend (over the phone anyway)! ella rose brophy was born march 28th, and we are all just dying to meet her! max looks even a little smitten in this pic :o). 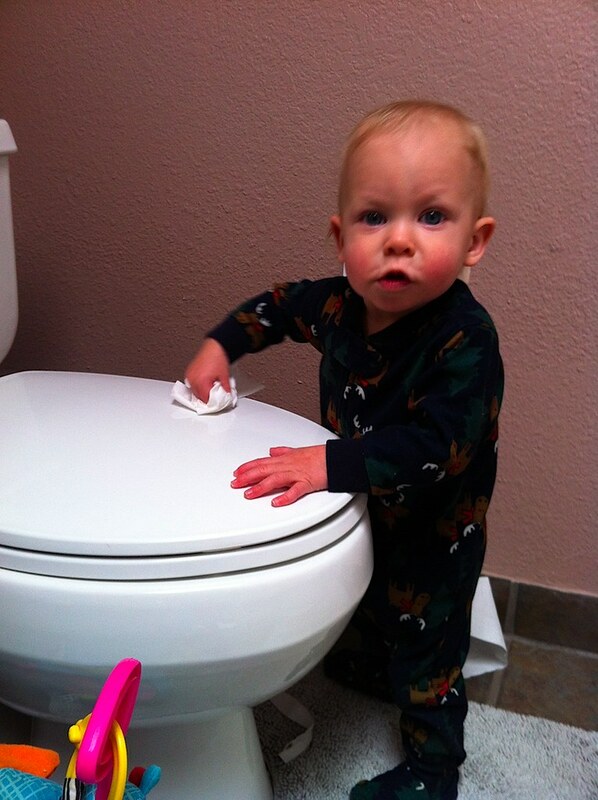 we'll just call this 'helping,' not spreading perfectly good toilet paper all over the bathroom. that said, i do appreciate the muscle he's putting into his work. max is a man's man for sure. always wants to be doing what dad is doing. 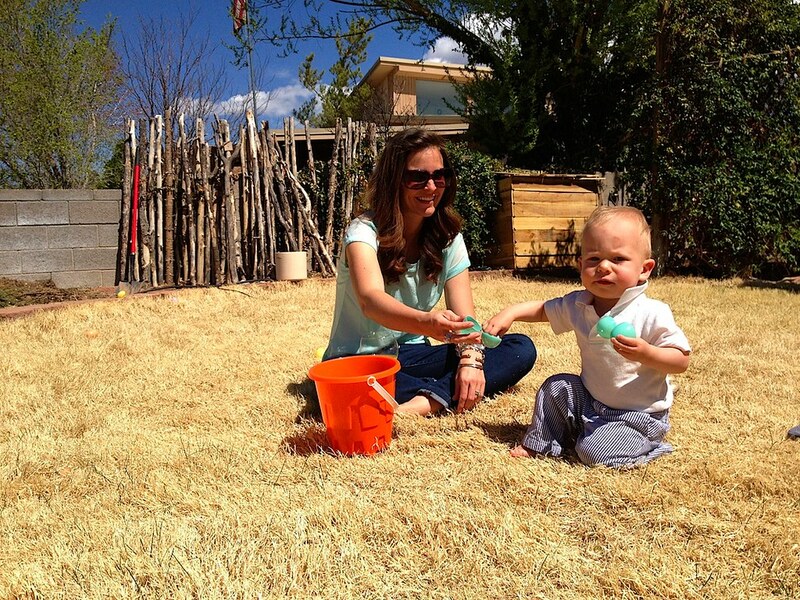 and no amount of plastic shovels will do, he wants the real deal. just like dad :o). mr. athletic. somehow, he's perfected the ultimate basketball shot. ball in the right hand, left hand cupped beside the ball, and the perfect release. seriously, we have no idea how he picked that up so quickly. 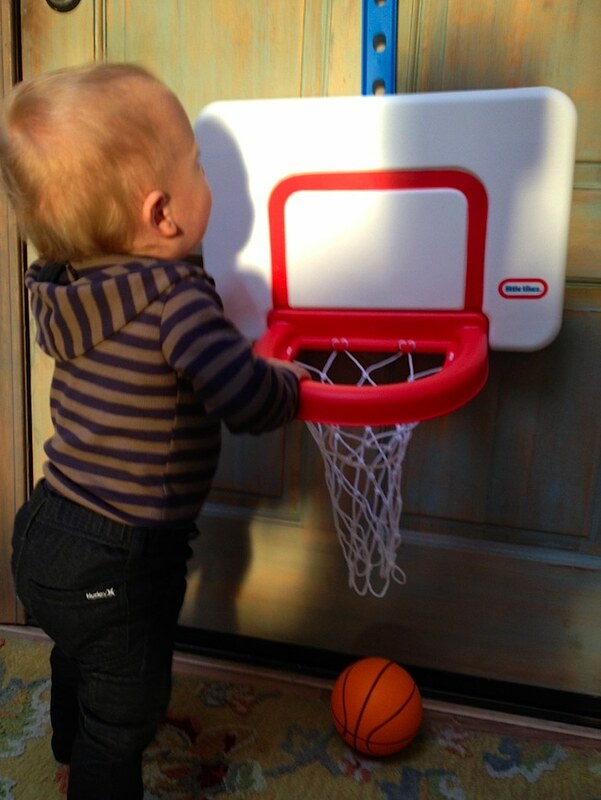 he also knows how to dunk, no big deal. more and more and more food!! 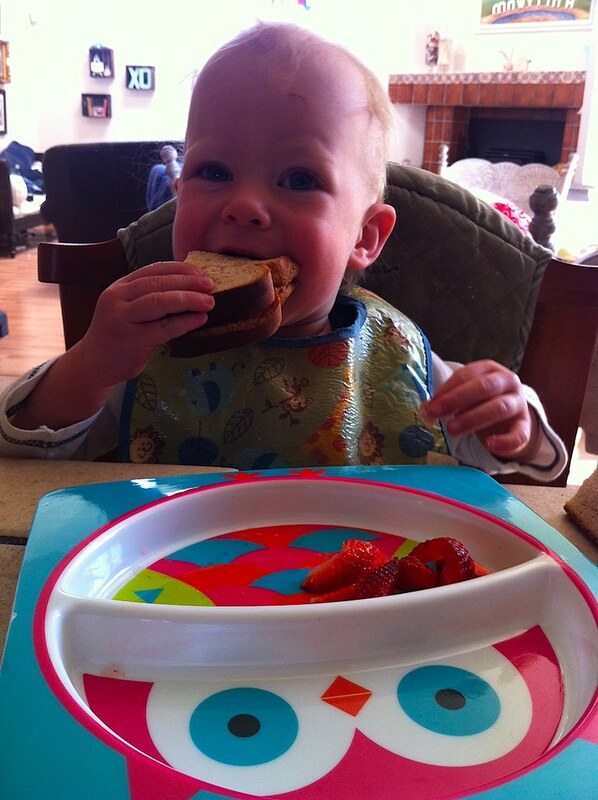 first peanut butter & jelly! 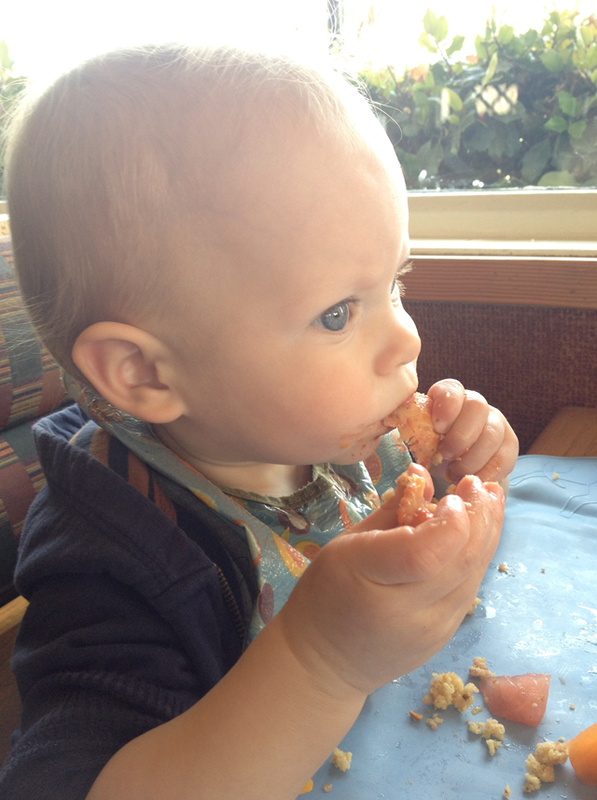 he's also taken a liking to dipping lately, one chip at dion's and lots of greek dressing. he wants to do what the grown-ups do ;o). pizza! 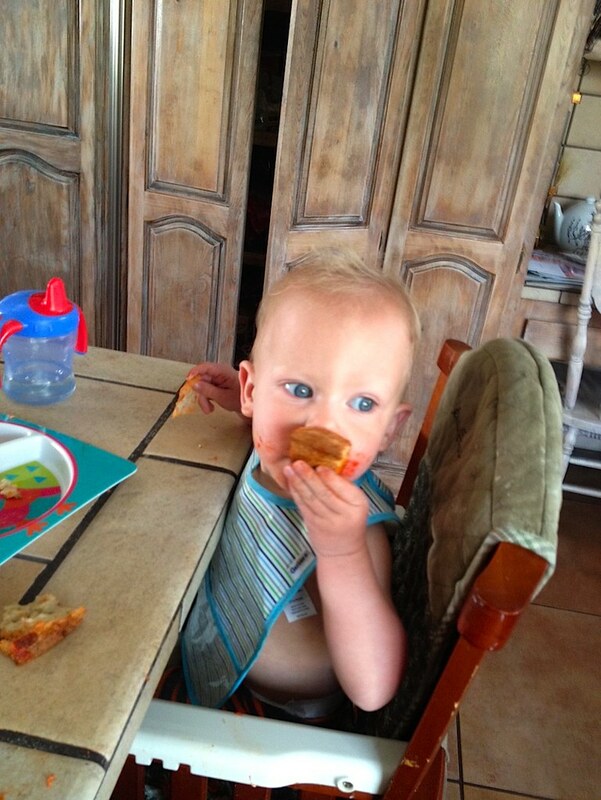 and blowing kisses into his pizza. love the sweetness of those kisses lately! 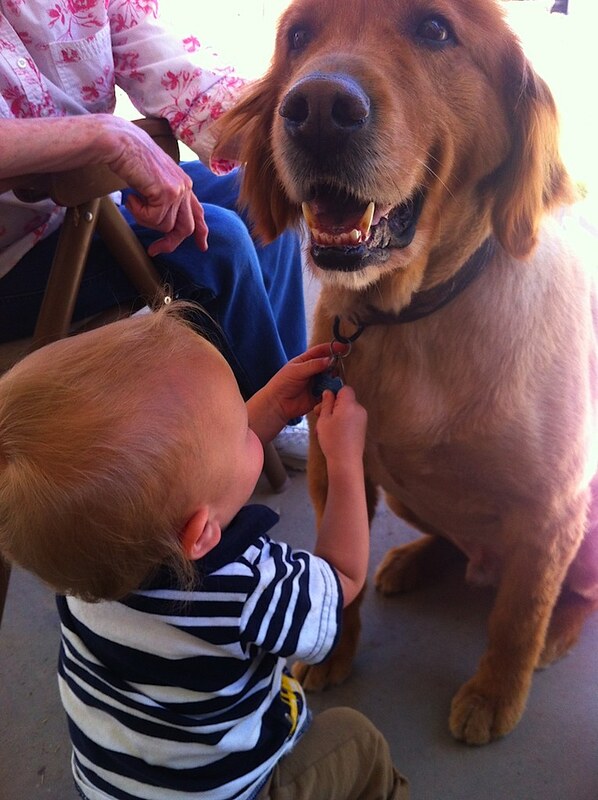 who knew that max is kind of a dog lover?! 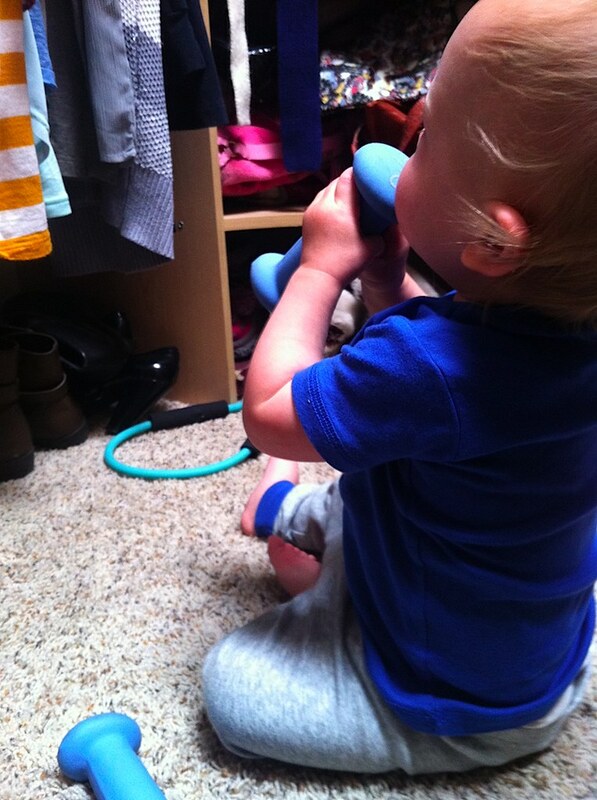 our closet remains one of max's fave spots. he loves to do his morning workout in there. 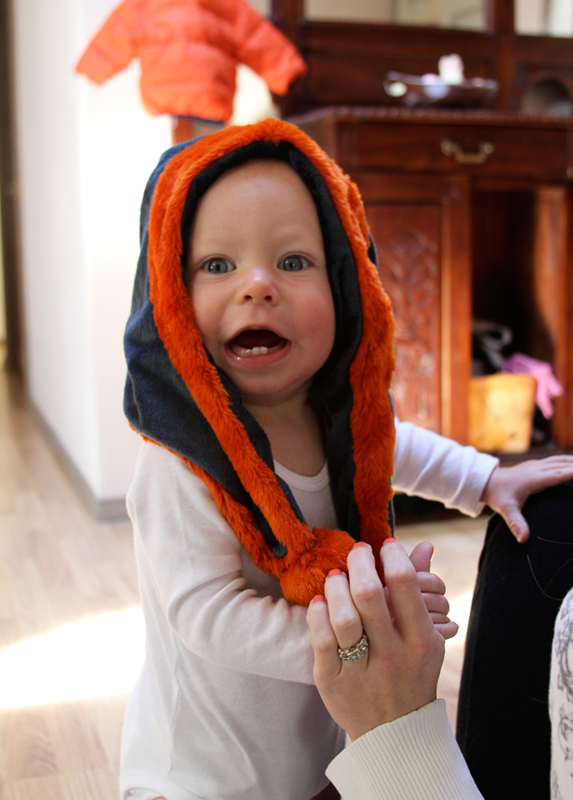 little wild man! still loves to read, still prefers to read to himself than be read to :o(. i love that ry sent me pics every night that i had to go to real estate school. 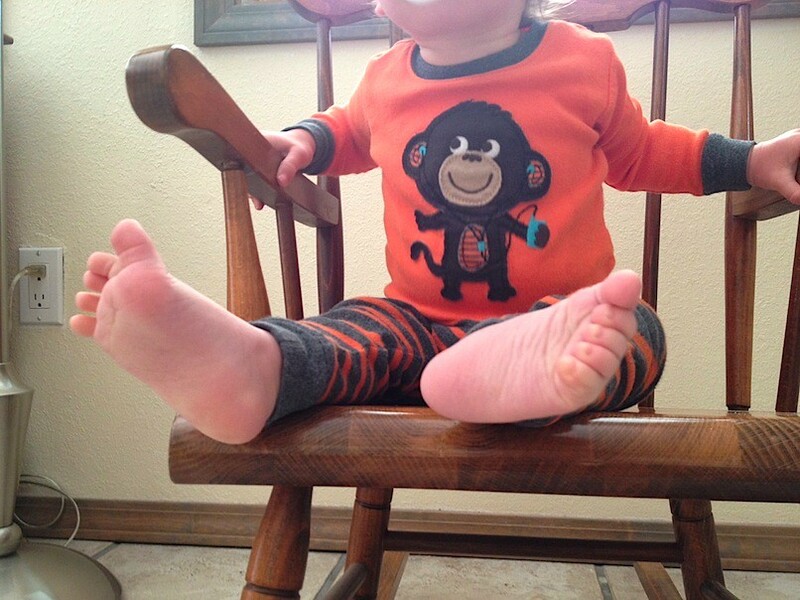 loved still getting to see these baby tootsies. 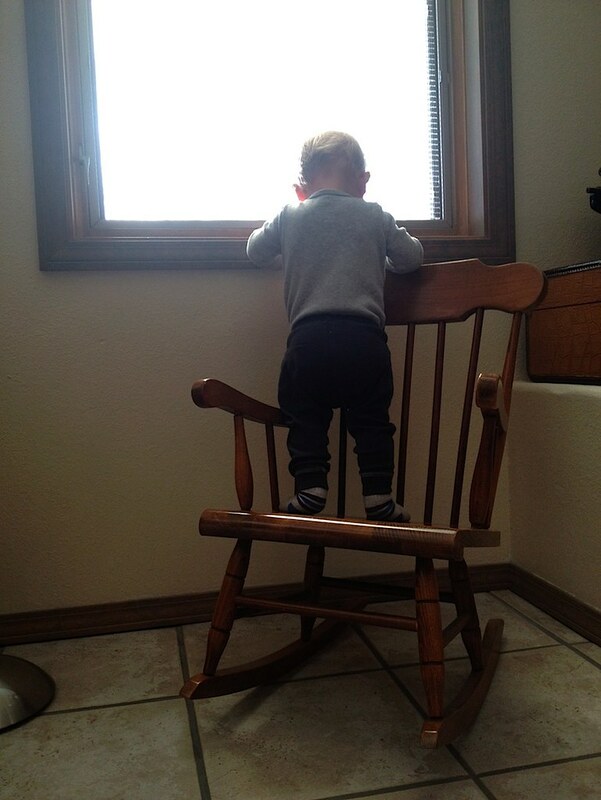 and the less relaxed version of the rocking chair. 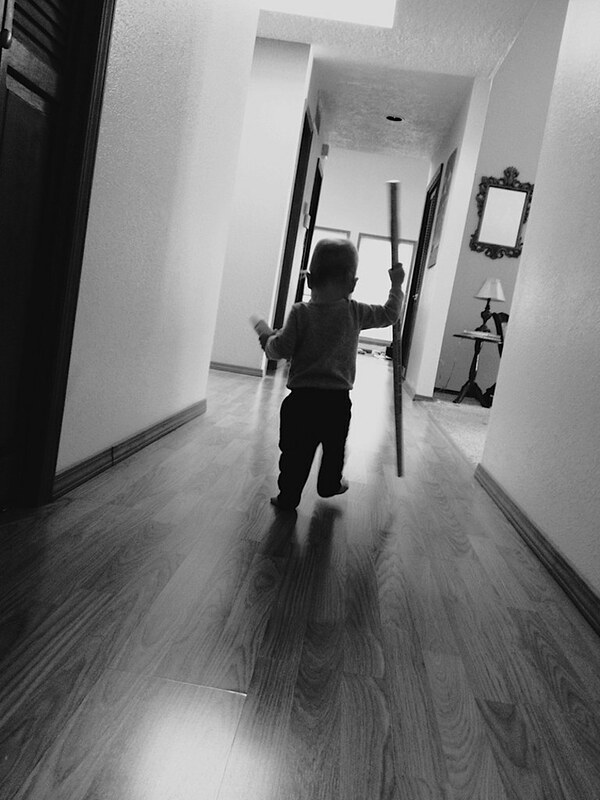 baby daredevil. proof that he's grown. 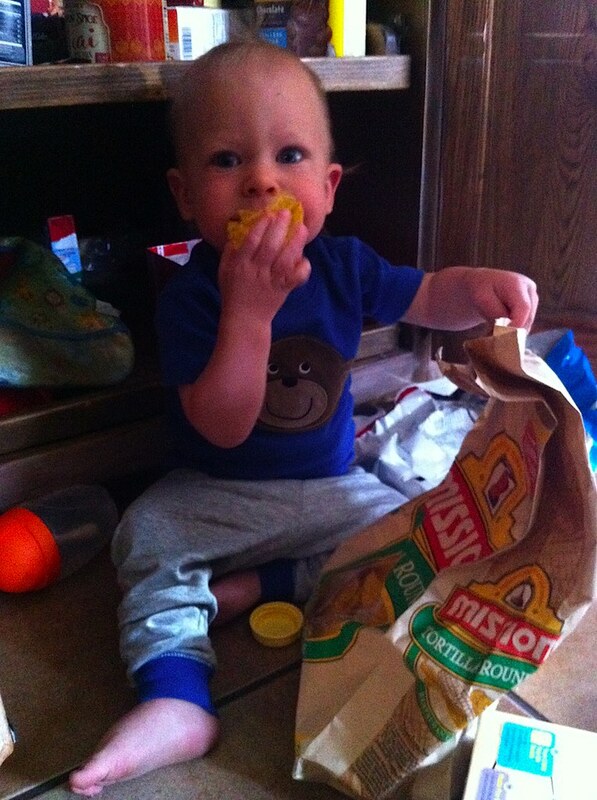 he can reach the snack shelf, pull down the chips, and eat a few before i can get to him. and possibly my favorite thing of late, laying down with dad and pointing out shapes in the ceiling. one of the few times he takes a minute to slow down. on a less joyous note, blogger is making me slightly furious lately. i may be going back to wordpress... we'll keep y'all posted. 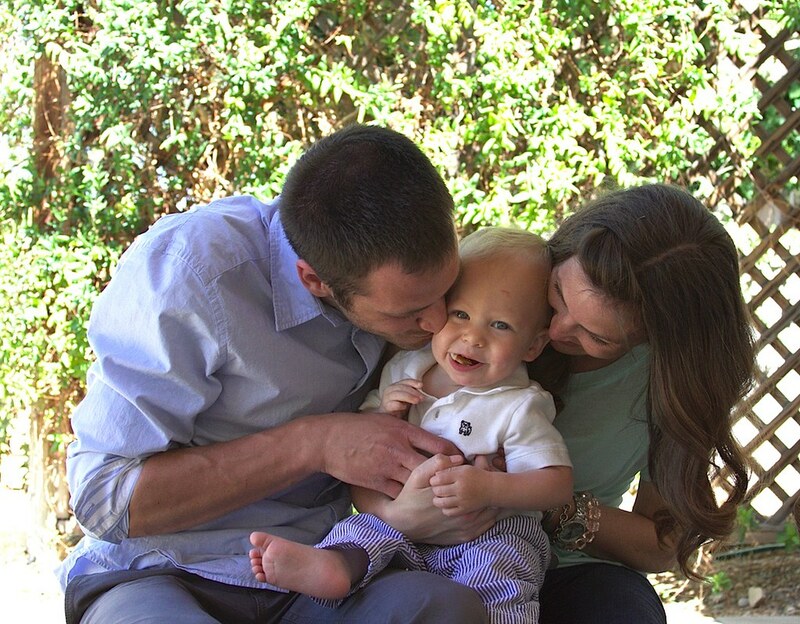 what a blessed easter season we had with our baby boy! egg dying was MOSTLY fun for max... notice that tear stained face. 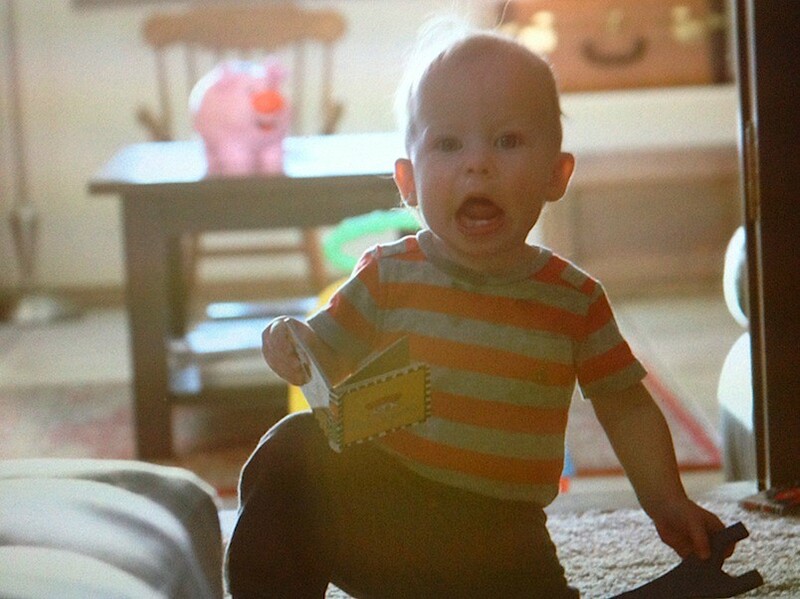 i'm pretty sure this was after he grabbed an egg, yelled ball, and tossed it across the table. 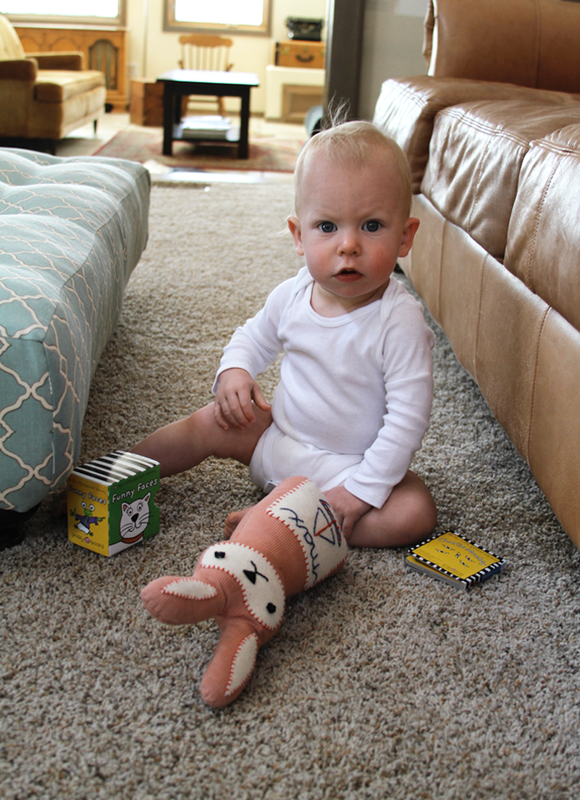 i think we were both pretty shocked by how much he seemed to grasp the concept. that said, he was not grasping the waiting portion, so we had more tears :o(. oh, memories. a little of max's very own art work :o). 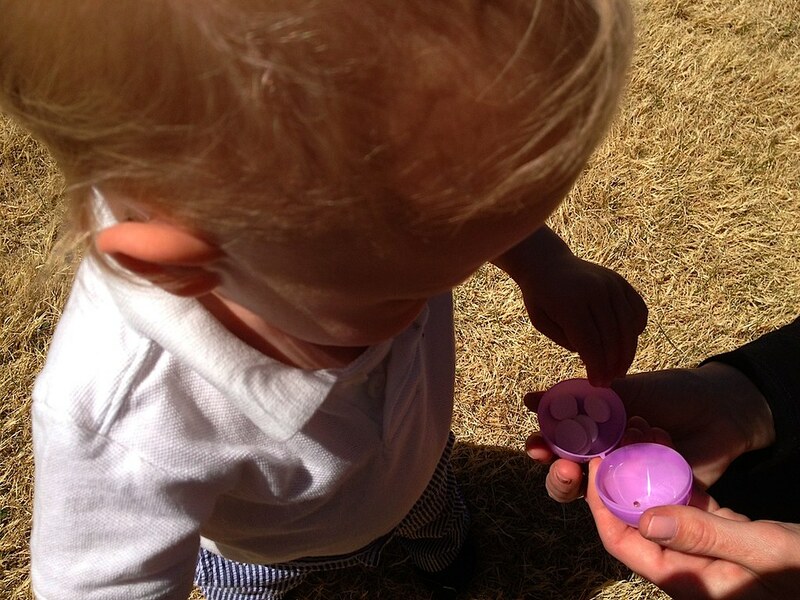 the coolest one year old ever scoping out some eggs. notice the finger point, that meant 'please bring them to me, i'd rather not move from my position.' haha, we did eventually coax him into moving around the yard just a touch ;o). 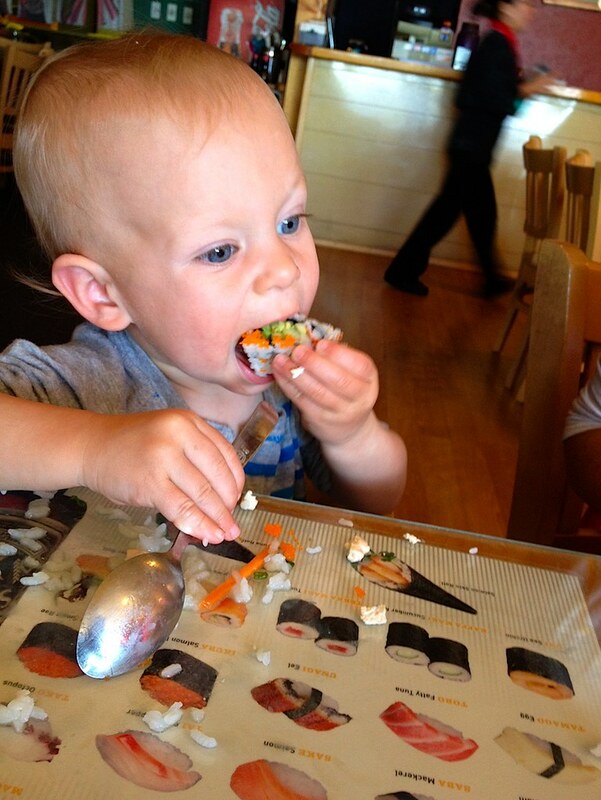 after he would get an egg, he would eat every single thing inside before moving on to the next. glad we didn't start the candy train just yet or i think we all would've regretted it :o/. 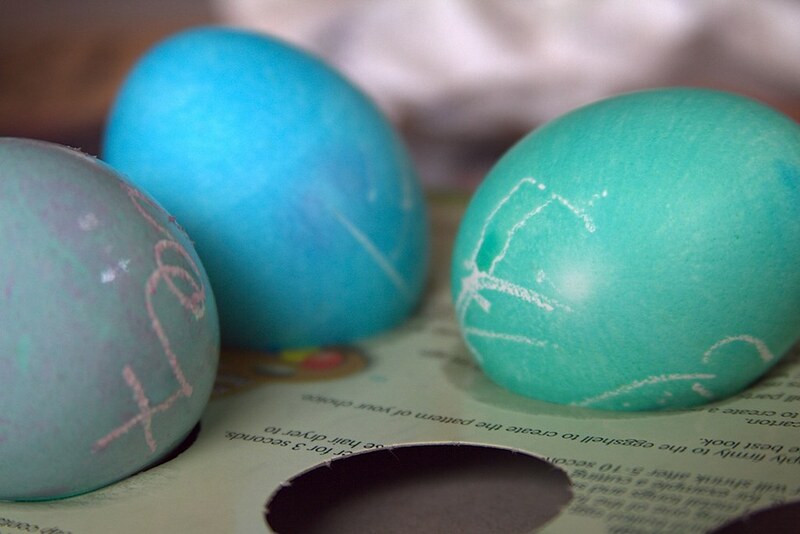 nothing quite like sunshine and a beautiful afternoon to remind us what easter is really all about. 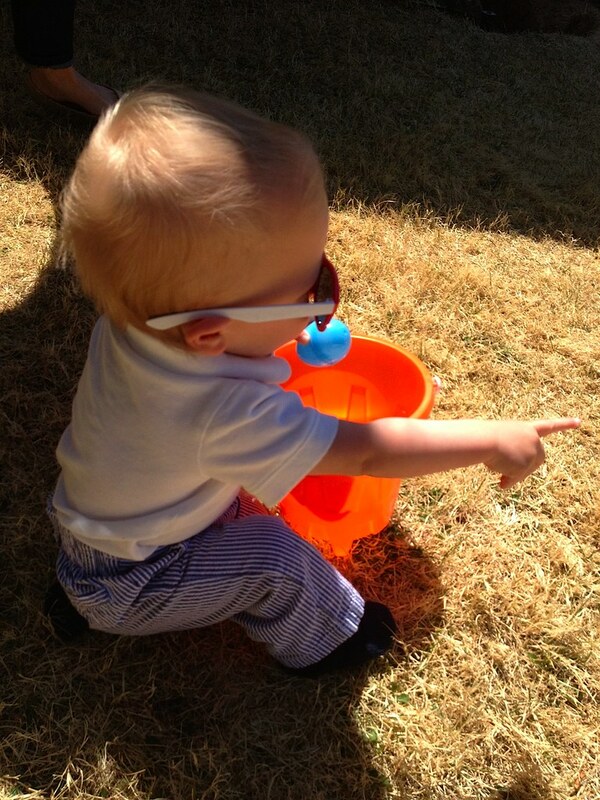 and dying over what a little man he looks like in his easter outfit! so thankful that we caught all three of us together. cherished memories with our sweet. 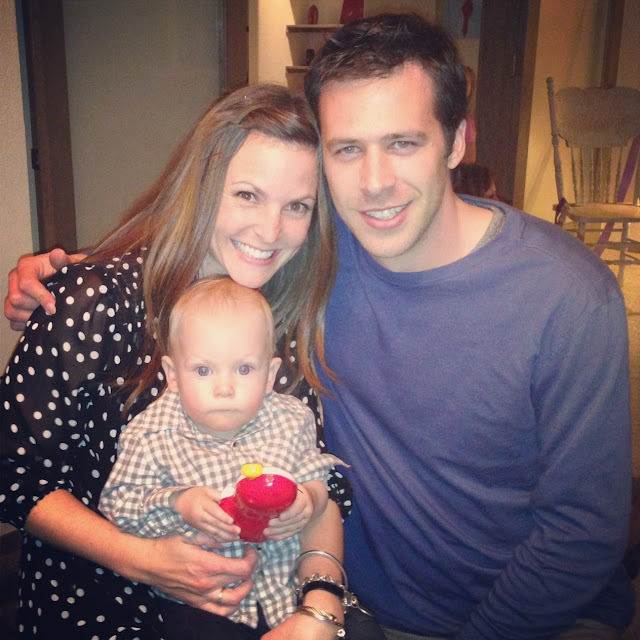 oh so grateful for god's blessing of this sweet family. the monkey spotted max from clear across the way, but was drawn to that sweet spirit of his. and the wild rumpus began. 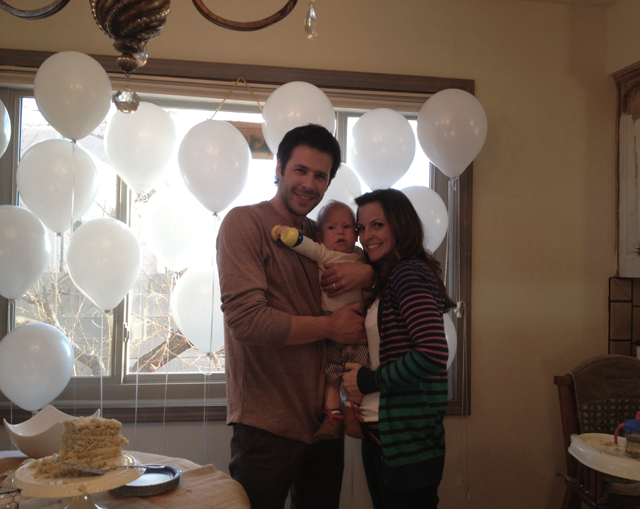 of course we couldn't let our most special little one's most special day slip by without a major celebration (or two)! 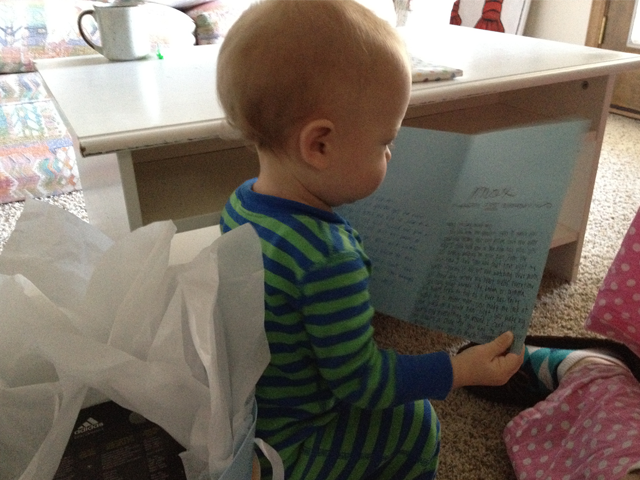 we started out the day with gifts from mama and dad, and of course a lengthy card about how we could never ever imagine life without our sweet max. 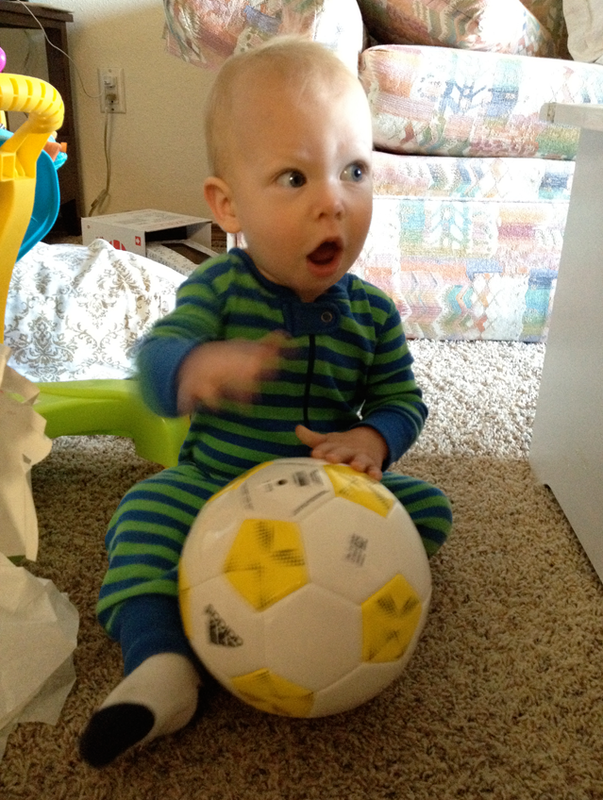 shocked and excited about his very first soccer ball. 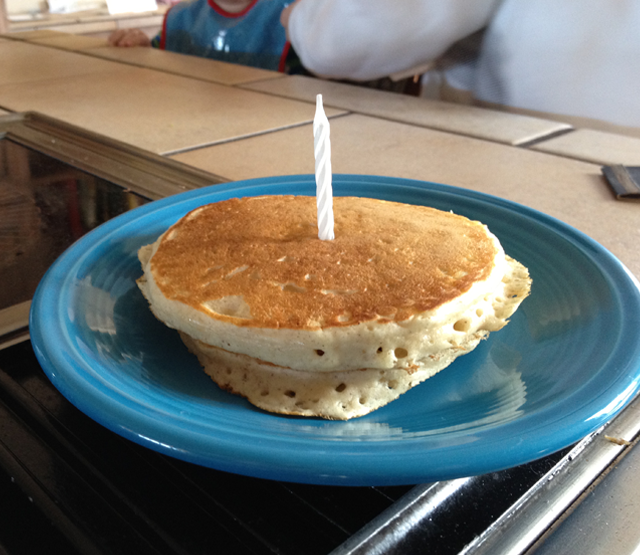 ryan's parents always made him hotcakes on his birthday morning. the tradition continues :o). and you better believe little one ate up every last bite! more gifts after breakfast! we all felt so much love coming from all of our long distance loved ones. it is so heartwarming to see how loved max is. 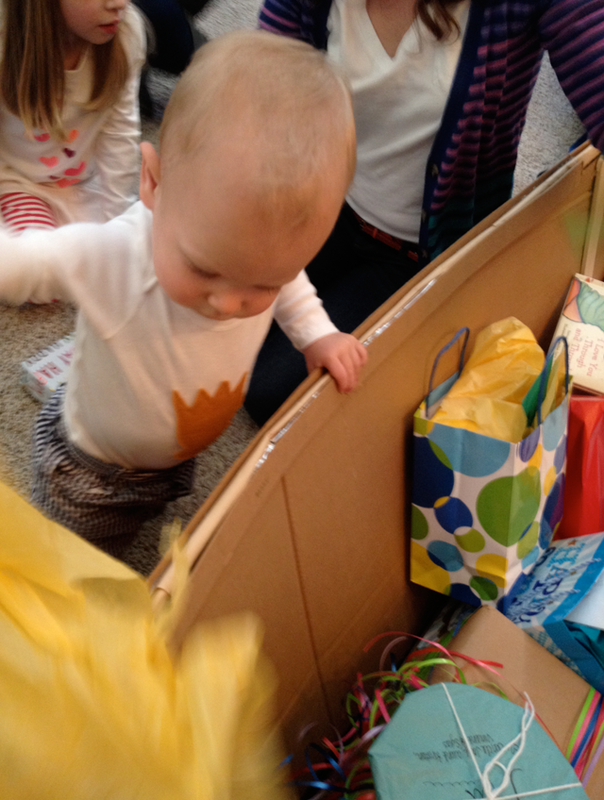 such a gracious little gift getter :o). 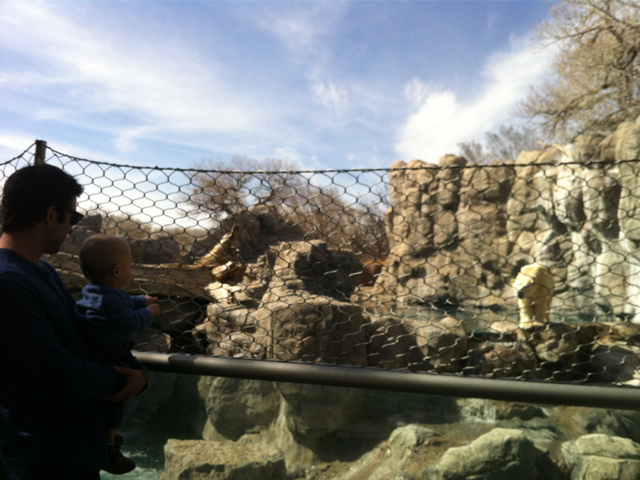 after nap we headed to the zoo for more celebrating! god blessed max's special day with the most beautiful weather, perfect for animals to be out enjoying the sun :o). 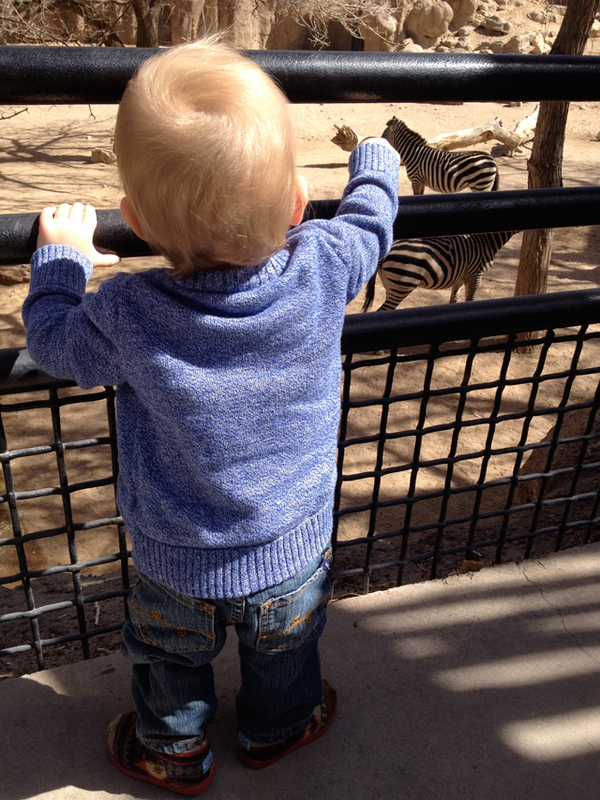 it was so amazing to watch animals gravitate toward max. this group of zebras spotted him and headed over right in front of us. we think the animals could sense his sweet and warm heart :o). 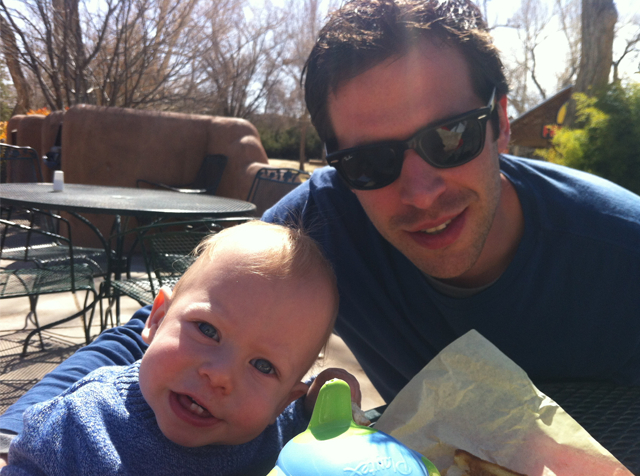 max (and ry) loved soaking up some sun and eating some yummy food! 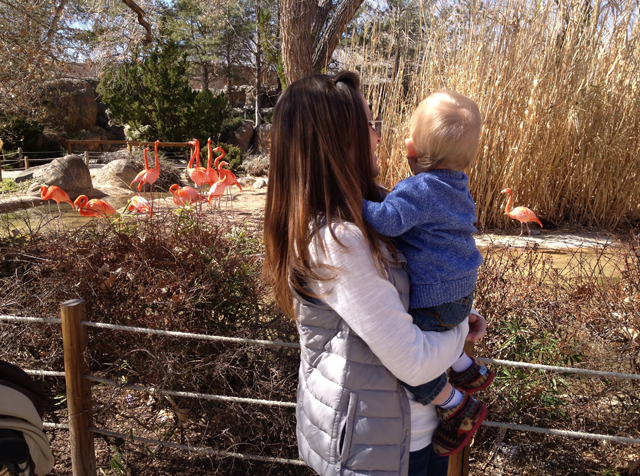 our time at the zoo was the most perfect way to celebrate our max. he loved it so much, and it was so amazing to see the wonder in those baby blues. we came home to another special gift waiting on the porch. can't you see that warm heart of his shining through in this picture?? thank you friends!! 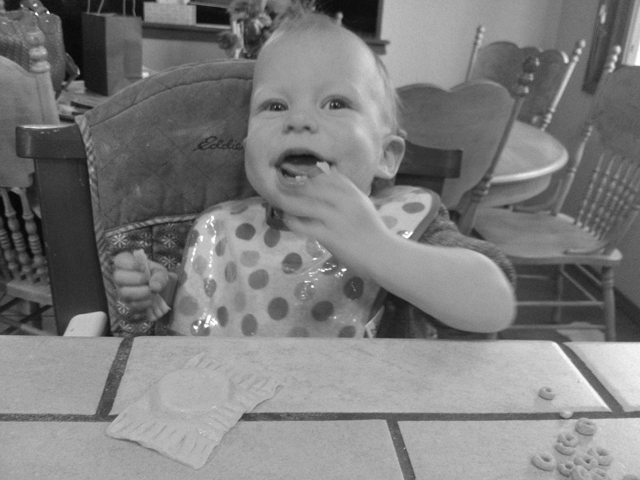 for max's first dinner as a one year old, we made him some parmesan ravioli. look at that smile, i think it was ok in his book :o). 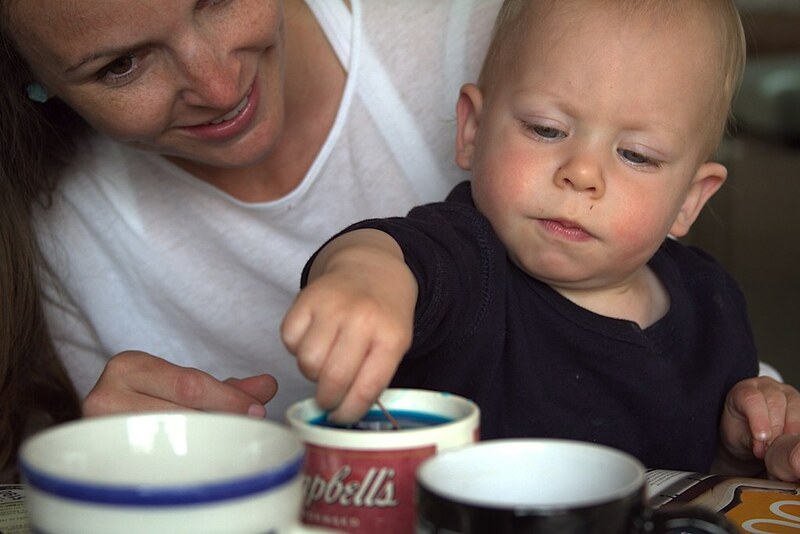 and our baby boy's first taste of real sweets to end his special day. what a perfectly perfect day for all three of us. and we had to let our families in on the celebrating max fun!! every good celebration needs a good cake. 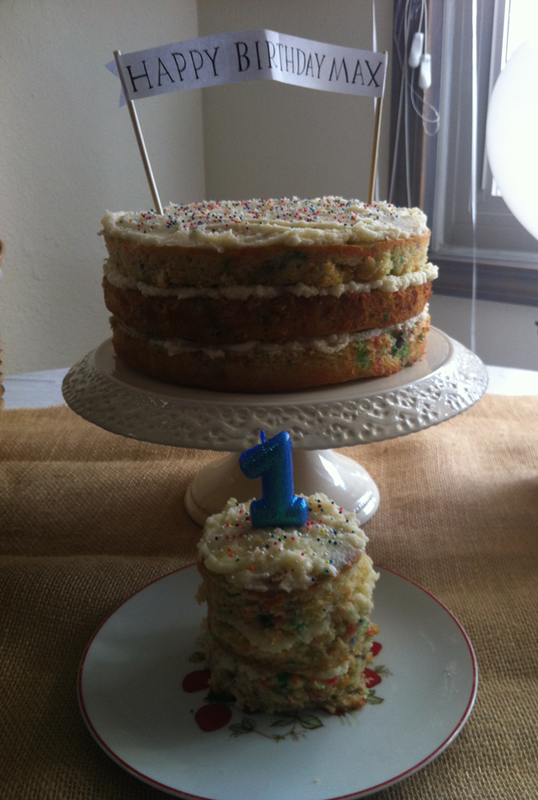 homemade funfetti seemed perfect for max! like all the most important days, we have a serious shortage of pictures :o/. 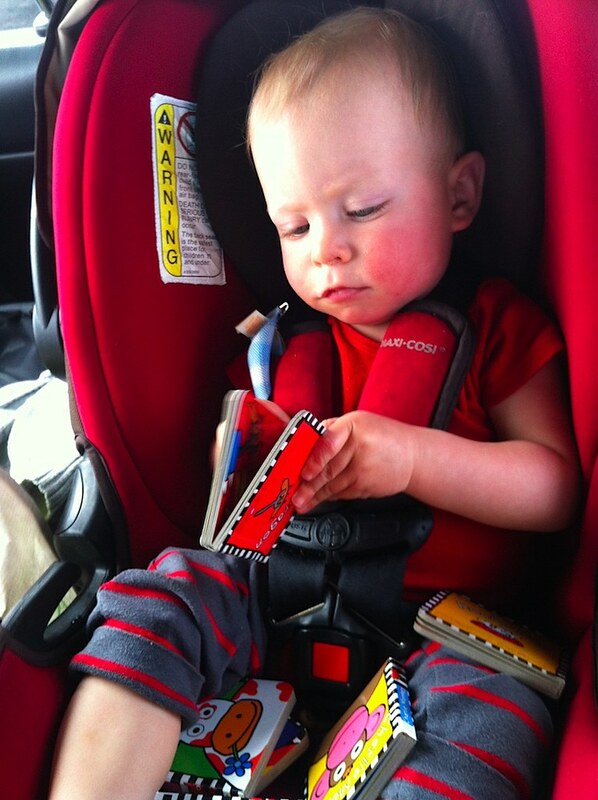 but i love max relaxing on his "birthday boat" full of gifts, just reading a birthday card. tearing into that birthday goodness. 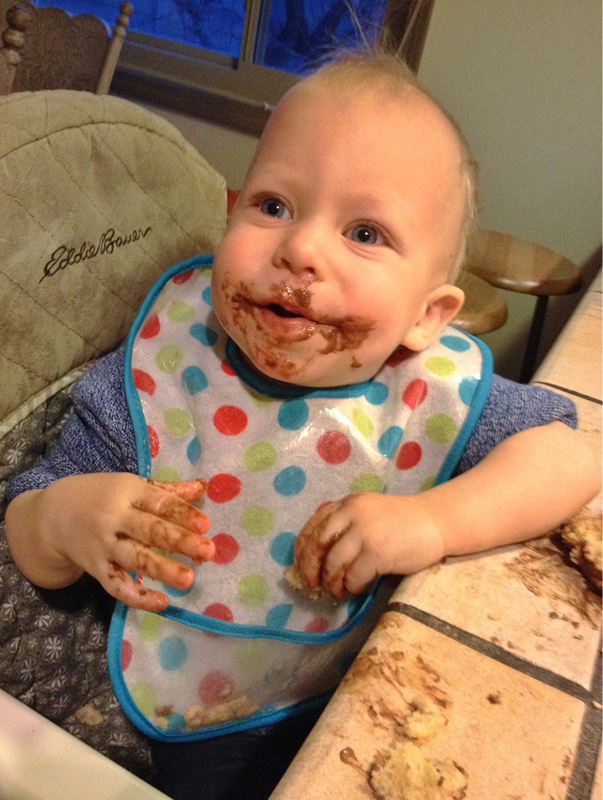 he wasn't exactly sure about the cake at first, but once he got going, he REALLY got going. 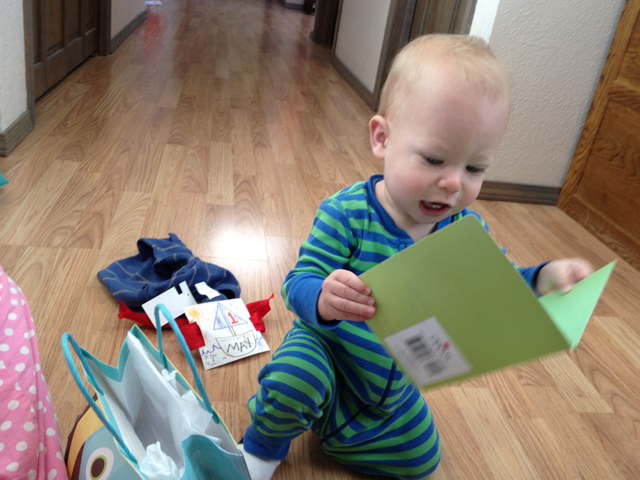 and thanks d for the special birthday boy bib! 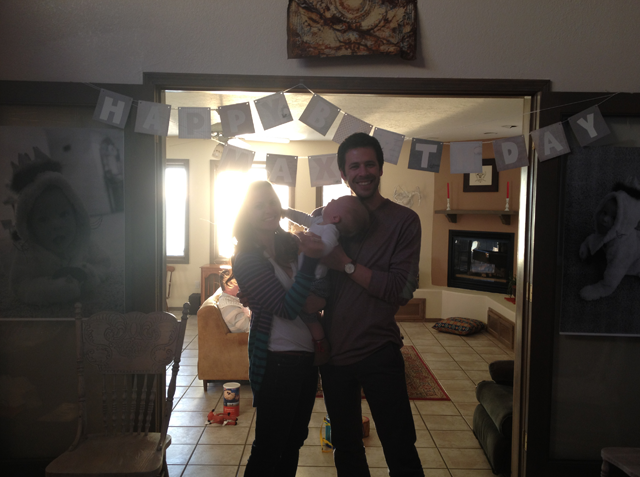 bad lighting, max not wanting his picture taken, but a sweet memory of this special day of celebrating the most amazing one year old. note caption above. another perfect memory in a not perfect picture. the morning after, taking in the loot. 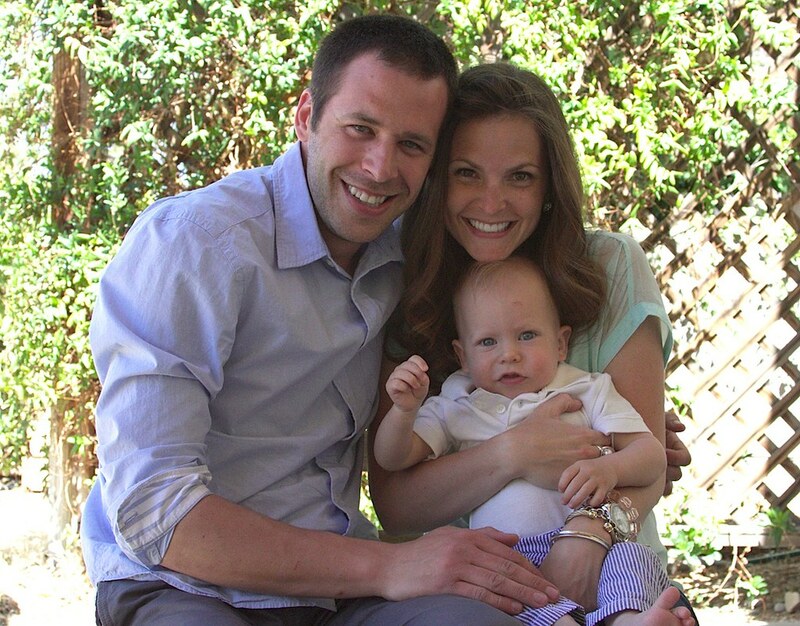 max (and ryan and i) are so blessed by our families and friends that are family. we are so very thankful for everyone who loves our little, there is no doubt he will grow up knowing he is loved so very much. 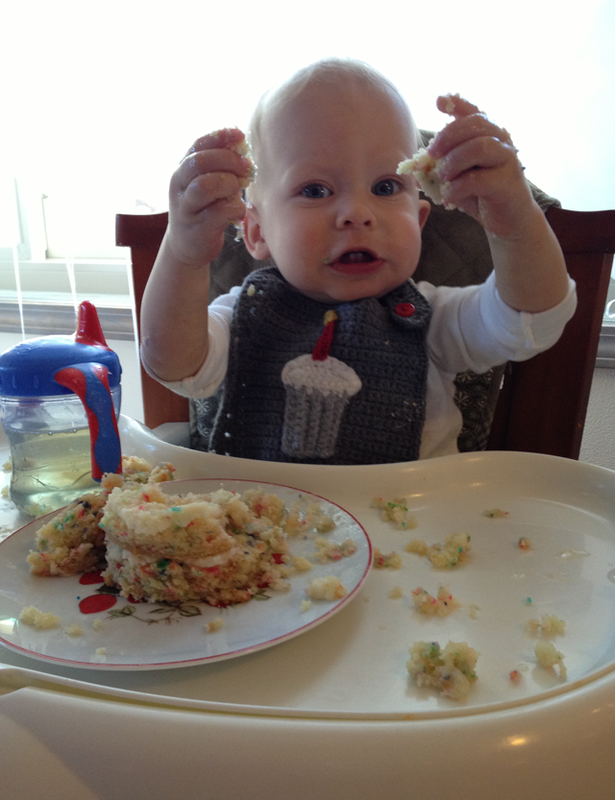 happy first birthday, sweet boy. you are such a gift, the ray of sunshine in our everyday. we love you so! the most love- filled, joyous, exciting, amazing twelve months of our lives. loving max is so easy to do... i mean just look at him. 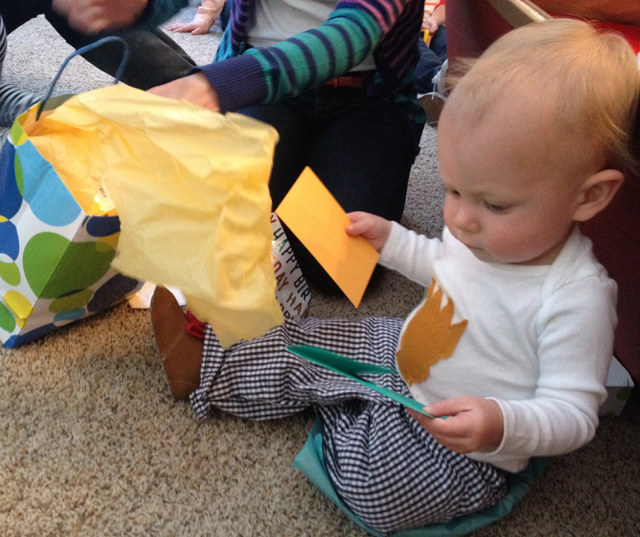 the first year of max's life has left us all awe-struck. 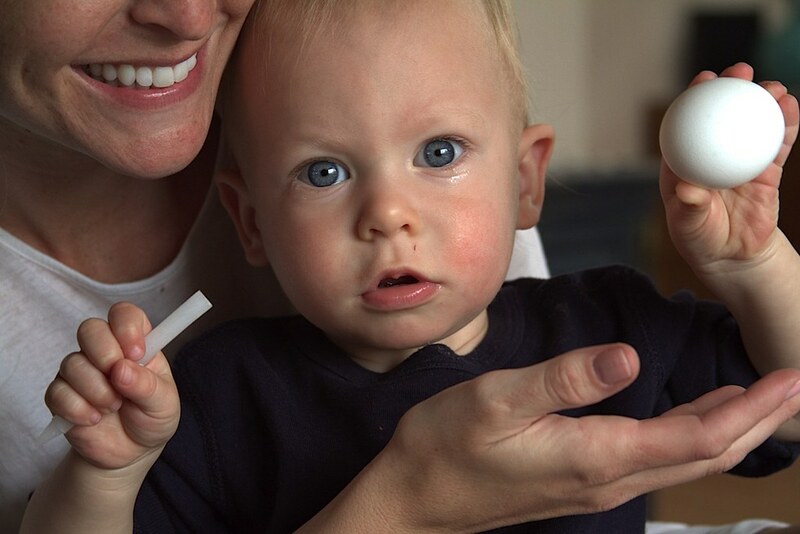 he went from a teeny-tiny ball of love and spit up to an extremely active, charming and loving little boy (ahhhh- doesn't feel right to call him a little boy). 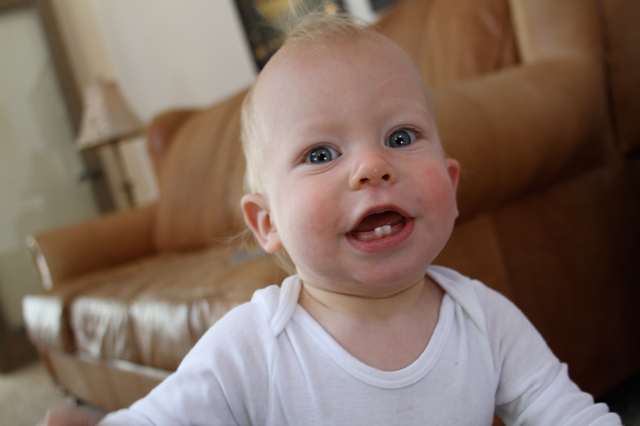 month twelve brought another tooth to accompany the two on the top. and our doc says the canines are on the way. 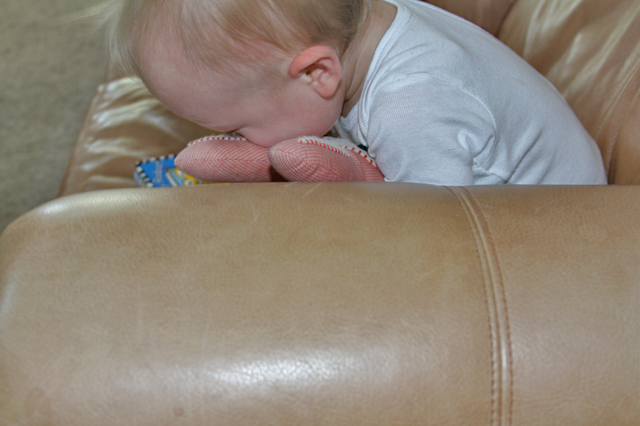 does teething ever end??!! a favorite game this month- getting into the winter gear. this bears/ santa hat is his favorite. he loves to wear it all over the house, just not outside when it's cold... then he'd like it off. he likes to keep us on our toes- ya know? this month brought a new seat for meal time! it's so perfect to put him at the bar while we are getting stuff ready in the kitchen. lots more food this month! he's getting more adventurous in the food department, but we didn't have to do much convincing to get him to eat his first slice of pizza ;o). 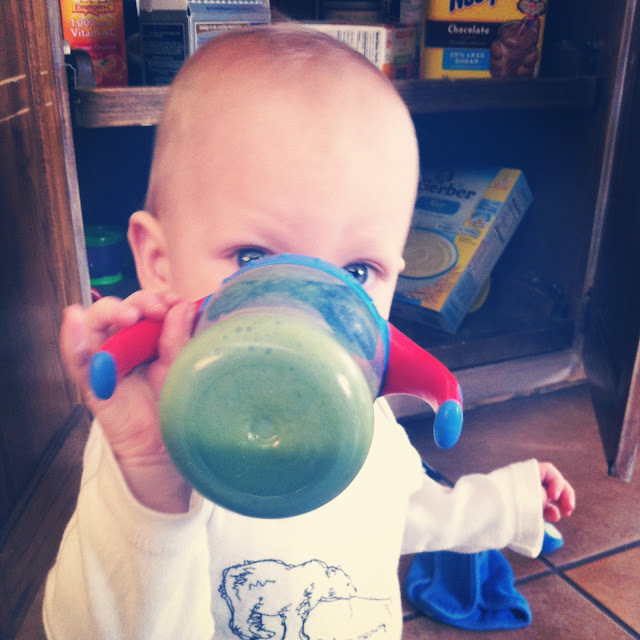 still have to hide those veggies though... thank goodness he can't taste all the spinach in his baby green drink :o). 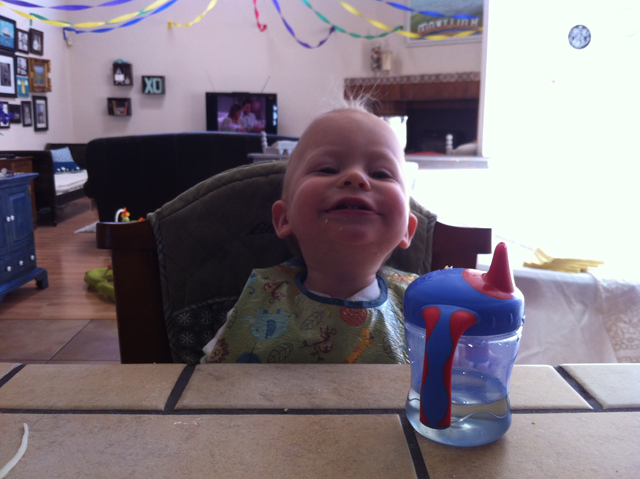 after elle left her mac and cheese (and fork) within max's reach, we realized he had picked up how to eat with a fork! 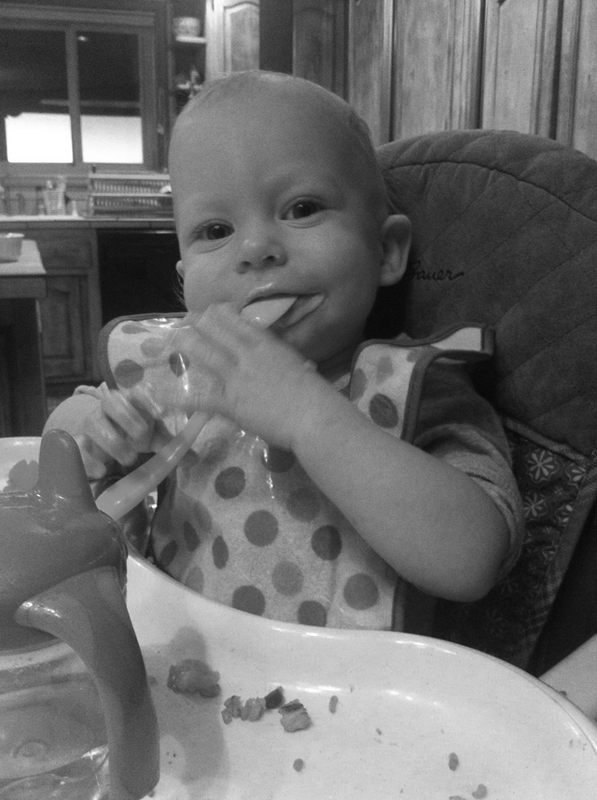 he now insists on silverware with every meal :o). mr. independence strikes again! 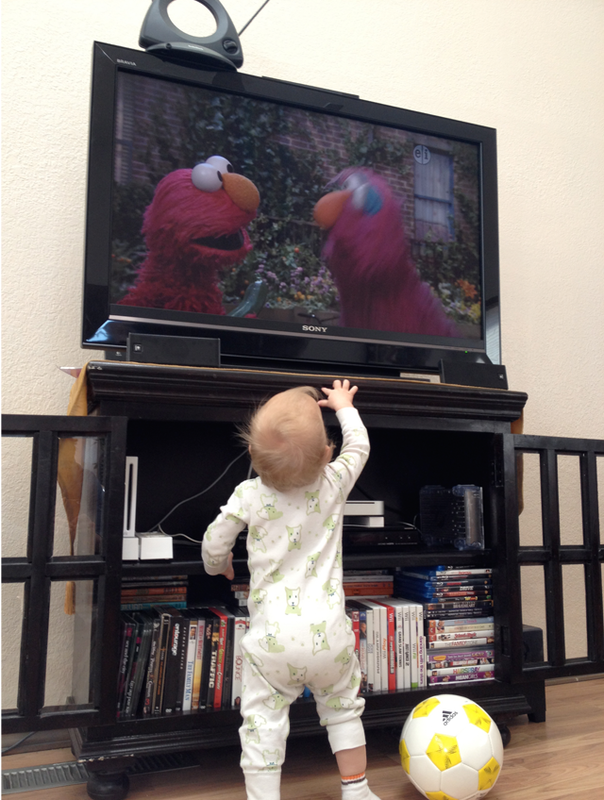 loving some elmo on a snuggly inside day! he just can't get close enough ;o). this month also brought the most snow our yard had seen! 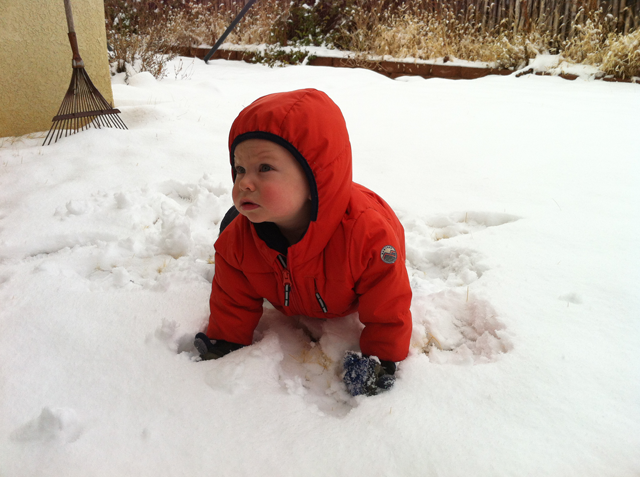 and it even lasted long enough to get baby boy all bundled up. we loved it, max- not such a big fan. i think he's more of a sun lover ;o). max couldn't hold out until his birthday for new shoes, his feet were too crunched in his old ones! 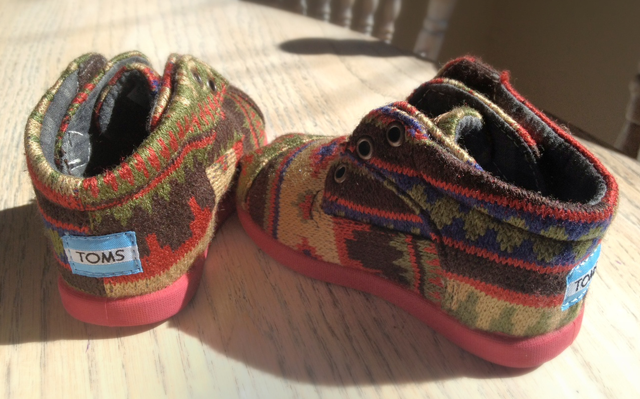 we call these his hipster shoes, and he calls them 'ish' or 'shish.' more words- yay! this boy wants a piece of all the action. he likes to help with laundry by throwing clothes all over the room. he really prefers to toss the already folded variety ;o). 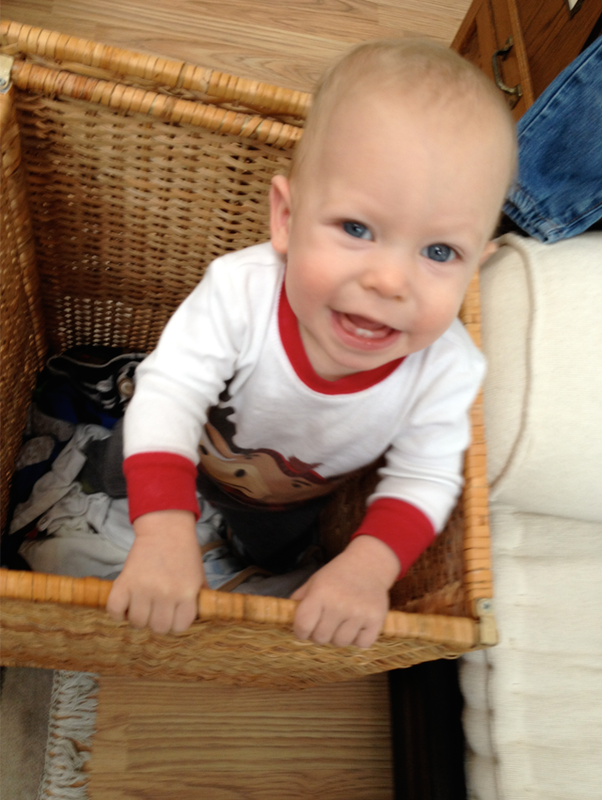 his next favorite- pushing the hamper all the way back to his room! 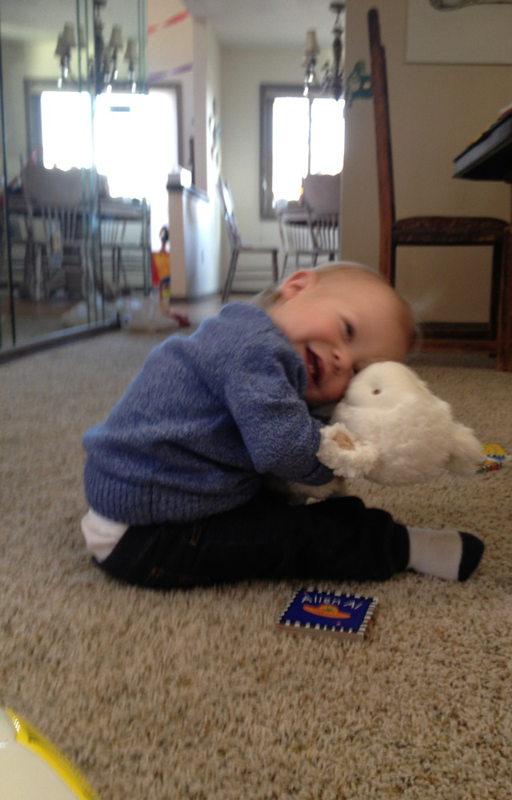 love, love when he snuggles his stuffed animals! sweetie baby! 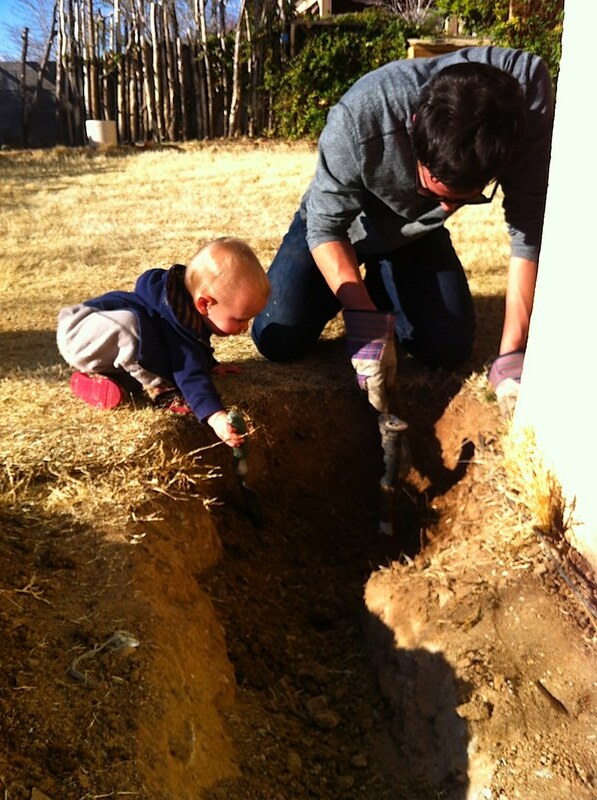 this month max got to help ry and i celebrate my big 30th birthday!! loved having him on the outside of my belly this year, he makes it feel like there is so much to celebrate!! mr. interested in everything. wants to know what everyone is up to... at all times. we find sweet one in this position all too often. he even likes to scoot around with the one knee down! 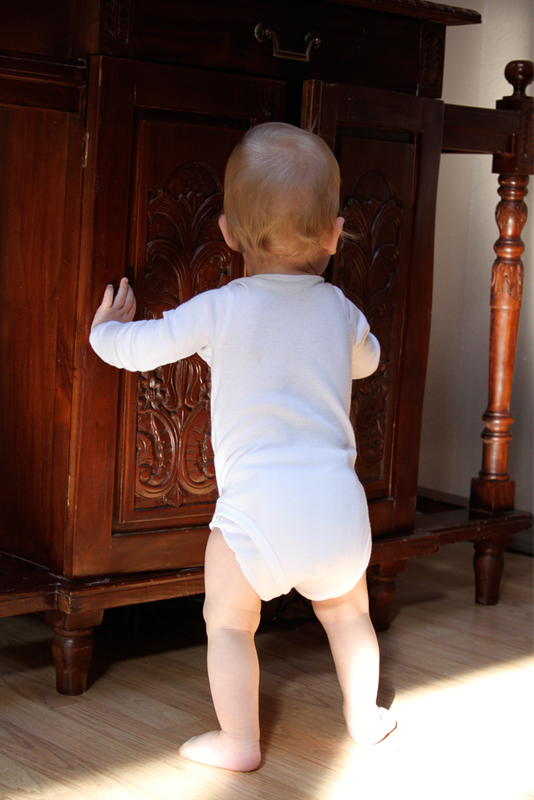 it seems like kind of an in between of crawling and walking. 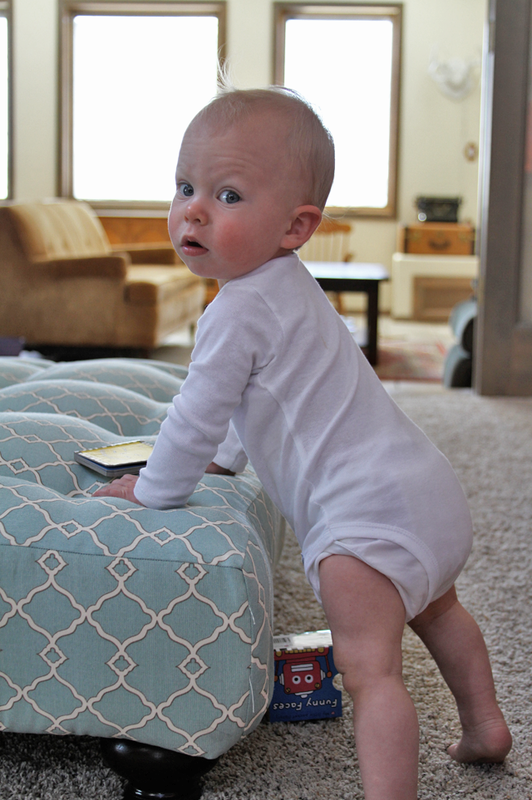 we told our doc about our stubborn one who seems to be ABLE to walk on his own- but won't. he said he's not worried at all, max is so super strong and just needs to build up the confidence. 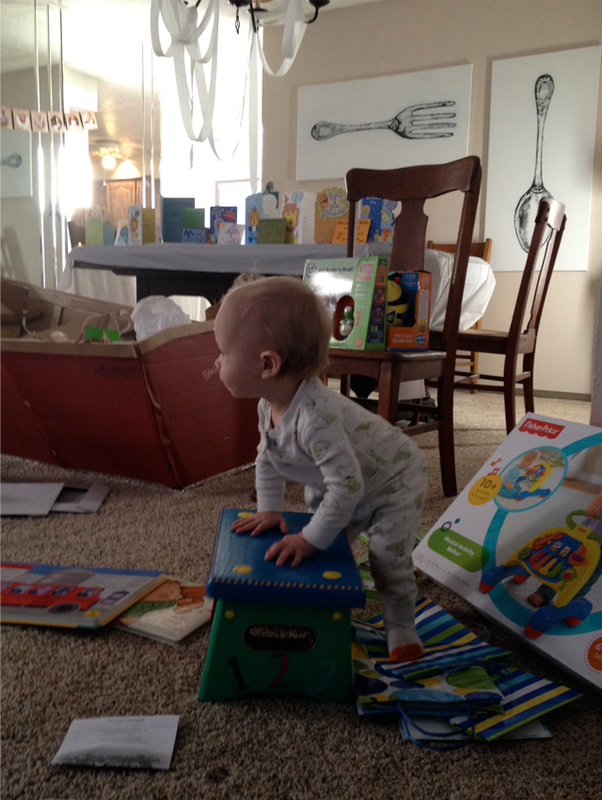 i may sound crazy saying this- but it seems like life may be a little easier once max walks. at least in the backyard anyway! yay for growing and learning so much!! max rung in at 18.20 pounds and 30.25 inches this time. he only gained a few ounces in the last few months, but our doc said it's probably because he's so active! could've also been that the nurse had a hard time getting a read on the scale since he was screaming his head off and flailing around :o/. 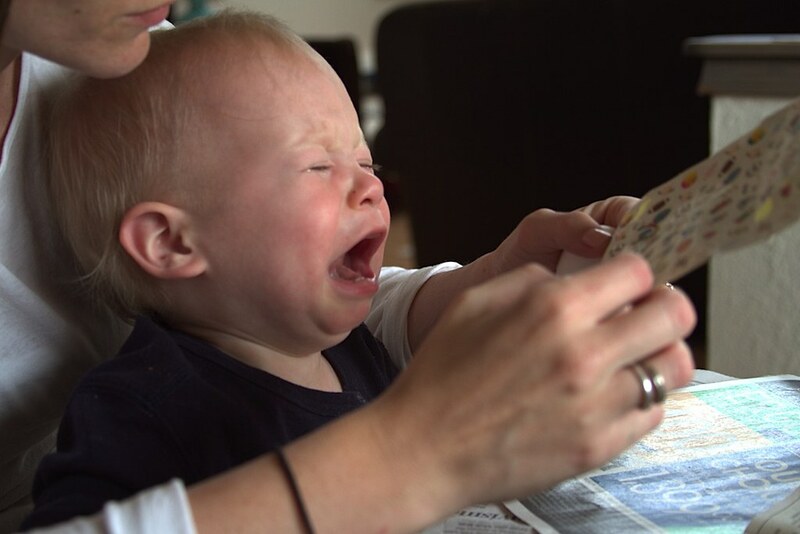 the nurse said max must be smart, because most babies don't start crying at their appointments until 18 months, when they realize what's happening. max must be a genius since he started crying the minute we stripped him down ;o). 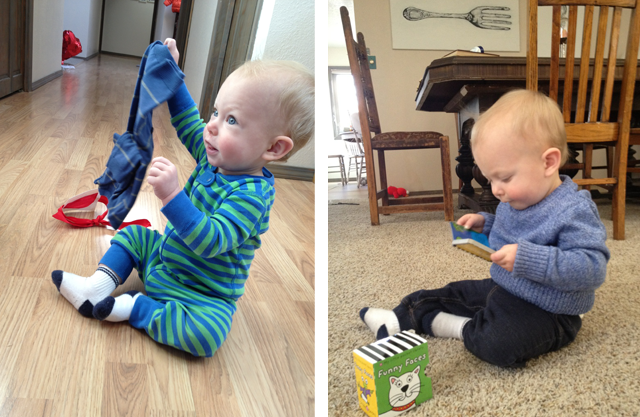 not much weight gain, but he grew almost 3 inches in two months- wow! 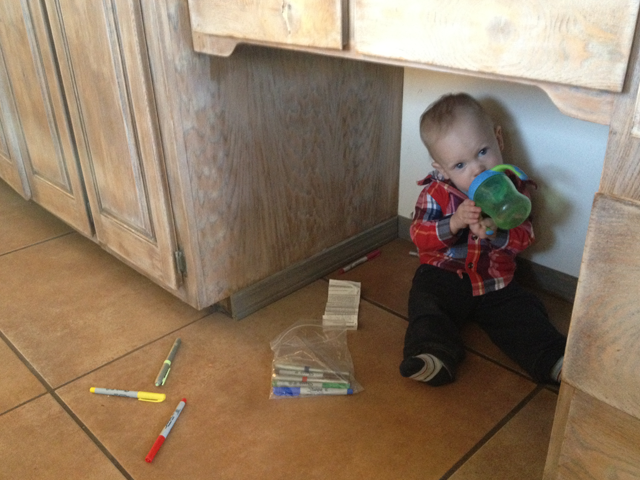 mr. independence would just like his own space to play with pens and drink his juice! max has been loving to read this month!! but not being read to by us... he'll only let us get through a few pages before he wants down :o(. he prefers to sit by himself, turn the pages, and take it all in. those cheeks, that nose, those eyes and little teeth. so hard not to constantly cover him with kisses! 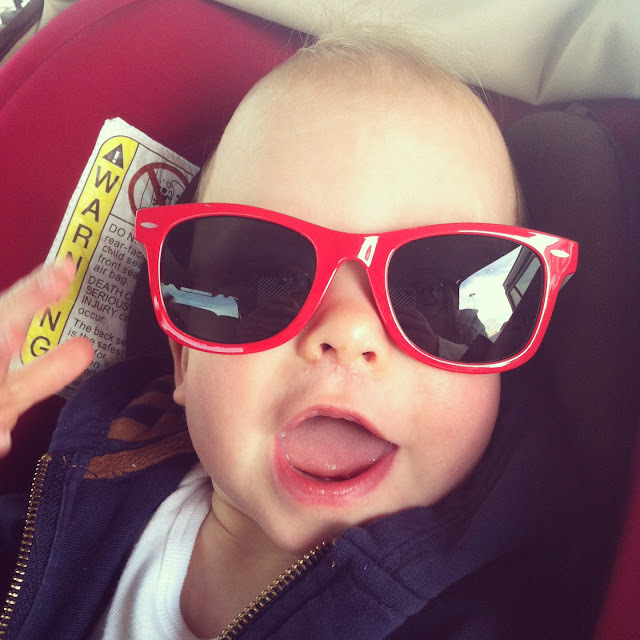 and here's to another twelve months with the coolest guy we know. we are so lucky to call him ours.